Melbourne GreazeFest being placed on hold. Brisbane GreazeFest to go ahead as usual. We have decided to place the Melbourne edition of GreazeFest on hold and continue the kustom kulture festival with just the Queensland weekend for 2017. As much as we enjoy staging the GreazeFest in Melbourne, the difference between the Brisbane and Melbourne weather, coupled with the time and investment required to run the two events, has been challenging. Placing the Victorian weekend on hold for the time being will allow our event team to focus on making the GreazeFest bigger and better at our new event site in Cleveland, as we approach our 18th anniversary. Over the past three years, it has been a pleasure to bring the kustom kulture community together in the southern states. We thank all of you who have taken part in these three huge events. 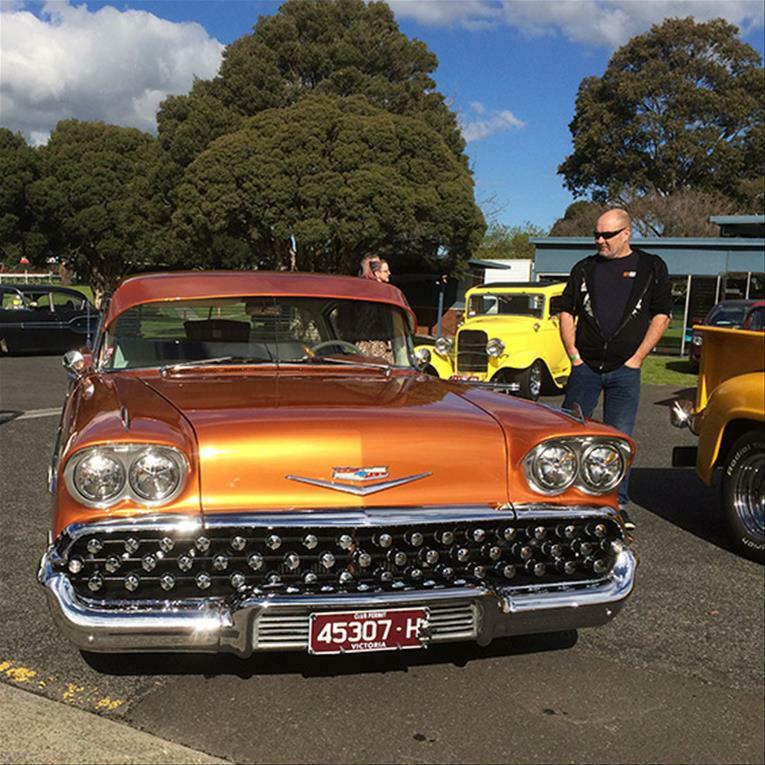 GreazeFest Melbourne has showcased many talented musicians from all reaches of the world, presented kool hot rod displays and amazing kustom artists, paraded stunning pin-ups, held markets and so much more. We are not saying that we won't come back to Melbourne, but we are taking a break for 2017. Many people have suggested moving the Melbourne event to a different time of year, but this is not as simple as it sounds. We had considered this option before we started the Melbourne festivals, and we will visit this idea again over the coming months. In the meantime, we are working on an exciting line-up for next year and we will continue our commitment to delivering you an all-killer no-filler GreazeFest in Brisbane in August 2017. We look forward to sharing all our announcements with you in the near future.